Peanut allergy is among the most common food allergies and can result in a severe and potentially fatal immune response to peanuts or certain legumes. Peanut-induced allergic reactions can range in severity from mild to life-threatening and can lead to anaphylaxis. For this reason, it is advised that individuals with peanut allergies carry epinephrine auto-injectors wherever they go. The number of people with peanut allergies appears to be increasing and greatest amongst children. According to studies from Food Allergy Research and Education (FARE,) the number of kids diagnosed with peanut allergy sensitivities has tripled since the mid 1990’s. Although it is widely believed that peanut allergies are a life-long condition, some studies have found that up to 20 percent of children eventually outgrow their peanut allergy. Peanuts allergic individuals should also be aware there is a good chance they may also be allergic to tree nuts. Tree nuts (cashews, pecans, almonds, etc.) are not the same plant family as peanuts but there appears to be crossover in allergic response as between 25 to 40 percent of people with peanut allergy also have tree nut allergies. Additionally, peanuts and tree nuts can come in contact with each other in food preparation facilities—for these reasons it is often advised that patients avoid tree nuts as a precaution. Anaphylaxis—a rare and potentially life-threatening reaction that can lead to shock, and death in extreme cases. If you or your child experiences any of these symptoms, be sure to see an allergist as soon as possible. If you or your child suffers an anaphylactic reaction, call 911 immediately. If you suspect you or your child has a peanut allergy, make an appointment with your allergy specialist. At this appointment a detailed personal history will be taken, including: the foods you typically eat, associated symptoms, how long symptoms last and what made the symptoms better. In most cases your peanut allergy will be diagnosed by either skin-prick test or a simple blood test. For the skin-prick test, a small spot on your forearm or upper back will be pricked with a small toothpick-like stylet and small amount of concentrated peanut extract will be introduced to the upper layer of your skin. If you have an allergy to peanuts you will develop a small raised hive where your skin was pricked. For blood tests, a blood sample is tested for the presence of Immunoglobulin E (IgE) antibodies—these antibodies are produced by your body in response to a particular allergen. There is no true treatment currently for peanut allergies, as such the only definitive treatment is to avoid and eliminate from your diet any foods containing peanuts and tree nuts. Additionally, people with peanut allergies and parents of children with a peanut allergy must be sure to check all ingredient labels on packaged and prepared foods. Luckily for allergy sufferers, the federal Food Allergen Labeling and Consumer Protection Act (FALCPA) requires all packaged food products sold that contain peanuts, must list the word “Peanut” on its label. Currently, advisory labels (i.e., “may contain”) are not required to be on packages, but many companies will list whether a food was produced in a facility or on equipment that comes in contact with peanuts and tree nuts. The absence of those terms does not mean the food is inherently safe though. If in doubt, avoidance is your best option. Since food allergies are some of the most dangerous and most common causes of anaphylaxis, patients with peanut allergies should always carry an epinephrine auto-injector with them—this is the only immediate treatment for anaphylactic shock. If your child has a peanut allergy, teachers and caregivers should be made aware of their condition and be properly trained in the use of an auto-injector. Involve caregivers: relatives, babysitters, and school personnel—including the school nurse—need to aware of your child’s allergy. 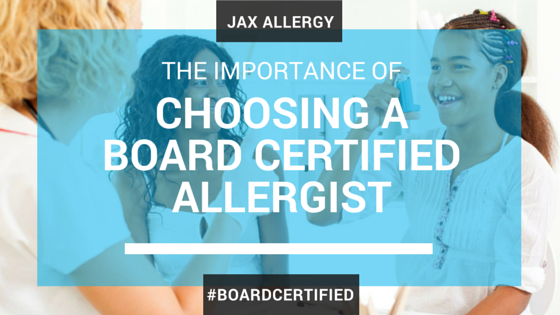 Emphasize to them the severity of the allergic response and ensure they know what to do in the case your child has an allergic reaction. Create written food allergy action plans with your allergist that lists the steps to be taken if an allergic reaction occurs: this will include a list of medications that need to be given (including the dosage amounts) as well as emergency contact information of family members and healthcare providers. Do not allow sharing of foods: ensure your child understands the danger of sharing snacks or treats as they may contain foods they are allergic to. Keep an auto-injector near your child at all times: epinephrine is the only immediate treatment to reduce the severity of anaphylactic shock. The injector needs to be given as soon as possible and there should be one in close proximity to your child wherever they will be. Purchase a medical alert bracelet: this will help ensure adults and care providers provide the proper treatment in the case of an emergency, this is vitally important if they are unable to communicate what is happening during a reaction. The bracelet should include child’s name and specific allergy. Certain ethnic cuisines, primarily in African, Asian, and Mexican dishes. Some vegan and vegetarian foods that are meat substitutes—they may contain soy, tree nut, or peanut to make up for the meat. Pet foods—this can be a contact issue.